When you fish Lake Tahoe expect beauty as well as trophy Mackinaw, Brown Trout, Rainbow Trout and Kokanee. No fishing experience or gear required. We provide all the guidance and equipment you need. At Tight lines Guide Service we pride ourself in using highest quality equipment from the boat to the lure. See our Sponsors and Affiliations Page for all the equipment and gear we use. Tight Lines Guide Service was started in 1996, Rick Kennedy has fished his entire life and wanted to share his knowledge with his clients. Providing guided fishing trips at Stampede Reservoir, Donner Lake and Lake Tahoe for Kokanee and Trout and the ever popular Eagle and Davis Lakes for Eagle Lake Trout, the Feather and Sacramento Rivers for Salmon and the California Delta for Striped Bass. 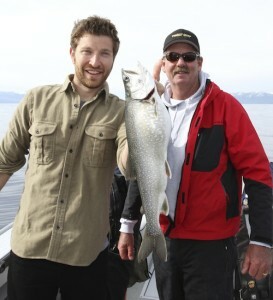 When you want a fishing guide that knows how to fish Lake Tahoe, call Rick Kennedy. 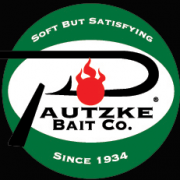 We provide all equipment and gear needed for your trip, bottled water, clean and bag your catch. Things to bring ice chest, camera, sunscreen, food and drinks, layered clothing and a valid Fishing License. Mackinaw can reach well over 3 feet in length. Macks prefer lakes that are large, deep, cold, and well oxygenated at all depths. Therefore, Lake Tahoe, Stampede Reservoir and Donner Lake is an ideal mackinaw habitat. Kokanee are the landlocked variety of the Sockeye Salmon. It has adapted to spawn in both feeder streams and gravel shallows of lakes, which allows them to mature in lakes rather than in the ocean. In fall the males undergo a striking color change, acquiring a deep red body hue and black head. Kokonee are a real treat when you fish Lake Tahoe. Fish Lake Tahoe year round. Rick has extensive experience on other high sierra lakes like Stampede Reservoir and Donner Lake. I’ve spent the last decade combing through nearly every licensed guide on the West Coast and while I have favorites Rick Kennedy stands near the top of that list. Kennedy is more than a traditional fishing guide; in addition to having top gear and catching fish a day with him ensures a pleasant, memorable life experience, on that few would ever forget. You will not find a better person or guide to fish with than Rick Kennedy of Tight Lines Guide Service. Top notch equipment and will always give you 110%.